I host one swap and one challenge. The swap is a ticket kit swap but this month my ticket looks more like a shaker ATC. I have so much fun making shakers with my Fuse tool. 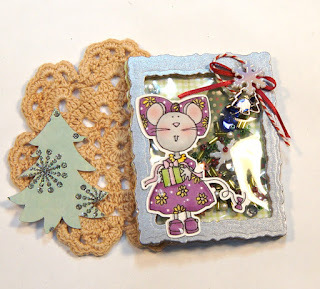 The theme is Christmas, the size needs to be around 2.5 X 3.5 and they must be a kit. The picture is what my kit will look like when it is completed. The image is a Dearie Doll I got years ago and I cut it with my Silhouette. That was so much fun. Here is the video of how I made my ticket and what I will put in the kit. Here are my cards for this month. 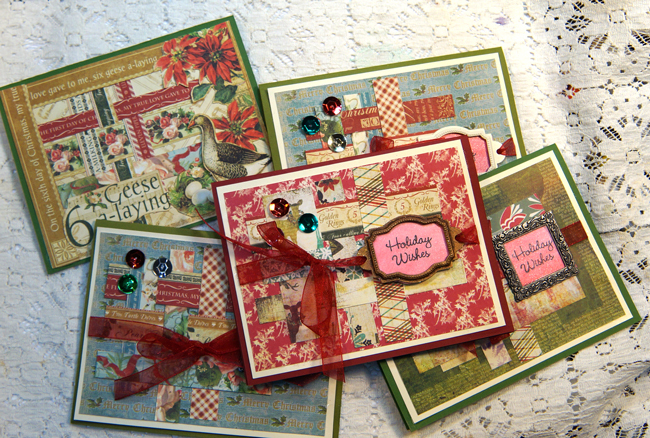 Come join the fun at Your Paper Pantry. It is only $12 a year and best money you will spend on your crafting habit. That would be a great Christmas gift to yourself or a crafty friend. Thanks for stopping by and have a great crafty week! Love your ticket Linda!!!!!! Great xmas cards too Linda - you are so organised!!! Wowwwwwwww! These are all gorgeous!!!! !